Totally off the subject, have you looked at street level New Orleans on Google Maps? Very cool. Great article and photos. Very nicely done. The turducken looks great! I’ve never tried it, and thanks to your great article, I am going to! can’t wait for that sweet potato recipe! Beryl – Thanks so much, I hope you give it a try, well worth it. Stephen – It’s coming very soon. It’s like Candied Yams on PCP. Laurie – That is the most incredible thing EVER. I just spent 2 hours touring the streets of New Orleans, making me miss it even more than I already do. I found the now vacant lot where the original Chez Helene once was, pretty sad, but amazing because of the technology. WOW! Oh how I miss Turducken. The only thing I miss more is crwayfish stuffed chicken. I wonder if Cajun Grocer has those too. I don’t know you, and I’ve never commented before. However, I’ve been a long, long time reader, and I have to tell you I LOVE your blog, your recipes, and everything. I literally check it everyday. I’m bummed when I don’t see a new post. And I cruise into your recipe pages when my longing becomes too severe. 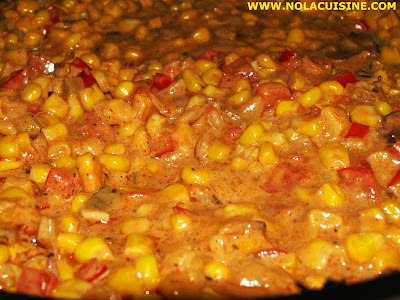 I’ve developed a very good (in my humble view) gumbo based upon your insight — thank you for that! Anyway, just want to say thanks and let you know that you have a SERIOUSLY DIEHARD fan here! Looks great-one year I’d love to try one from scratch. Deboning three birds sounds more than a bit imtimidating, however. Hi there, Turduken, yum! I miss New Orleans cuisine…Iâ€™m a fan of your blog and was wondering whether you might like to exhange links on our blogrolls, considering we have very relevant topics about New Orleans. Last Thanksgiving, we made a Turducken in Paris, and the Frenchies were quite confused. I guess a Turducken can be considered American Excess at its finest? Made a Turduckenail (add quail) this year. It’s a two-day process, but for all the meat you get it cooks incredibly fast! Also, all the juices stay in our birds….no drippings to make gravy but we don’t need it, as everything is lovely and juicy. I’d recommend layering smoked sausage cornbread stuffing with the traditional herb stuffing…is it November yet? Great post, Danno. Here is Hannah Glasse’s Goose Pye, the forerunner of turducken. Dr. Gerald LaNasa New Orleans surgeon and founding culinary judge for the 1971 Andouille Festival was known for his use of a scalpel in de-boning his three birds of choice along with pork and veal roasts. The results of Dr. LaNasa’s work can be found in the modern day Turducken. 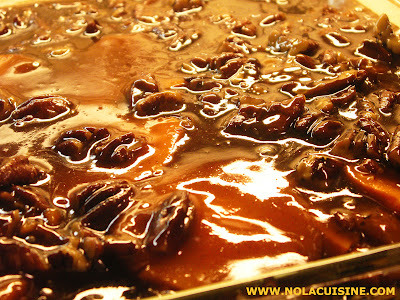 His efforts in preserving a Louisiana culinary tradition were noticed by the emerging local chefs in New Orleans. His Turducken Ballontine is now widely commercially available. During the 1960’s Dr. LaNasa was a regular guest chef at the Court of Two Sisters in New Orleans and other fine kitchens in New Orleans. Dr. LaNasa’s innovation and success with Ballontine, Three Bird Roast and Turducken took place in the 60’s and 70’s long before many of the popular Cajun/Creole chefs of today took the stage. 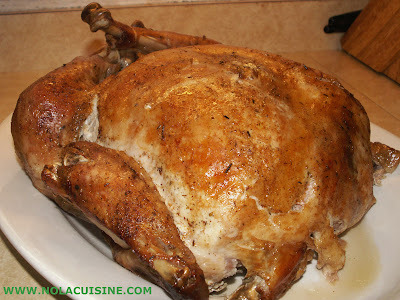 Dr. LaNasaâ€™s multi bird roast creations also include goose, pheasant, guinea fowl and quail. I purchased a turducken for my Son’s Birthday a couple of weeks ago from Hebert’s Specialty Meats. I have contacted them 4 or 5 times concerning what I received. Obviously, there is no way to tell until after the Turducken is cooked, but I received a turducken, which had the thinest slice of turkey on the outside and the inside was ground up duck. No one at the table could figure out if there was any ground chicken mixed with the ground duck. The Turducken also came with one leg and one wing. We were all very disappointed. I tried to find out if they sent me the wrong item, but no one has ever tried to contact me. I wanted to do a review on Hebert’s Specialty Meats because it just ruined our special dinner and everyone there was very unhappy. By the way the stuffing that was also supposed to be inside the turducken amounted to maybe a 1/2 cup at the most!, None of us could figure out what happened to the turkey meat as it appeared to be just a coating of thin sliced turkey on the outside. If there is another place that truly stuffs the deboned turkey with duck and chicken, let me know. Shame on you Hebert’s Specialty Meats! I purchased a Turducken from Hebert’s Specialty Meats. This product had a very thin layer of Turkey stuffed with not more than 4oz. of dressing and was stuffed with ground up duck meat. No ground up chicken could be recognized. It also came with one leg and one wing! Is this what a Turducken is supposed to be like? I contacted Hebert’s numerous times with no response from them. It was a Special Family gathering and we were all very disappointed.